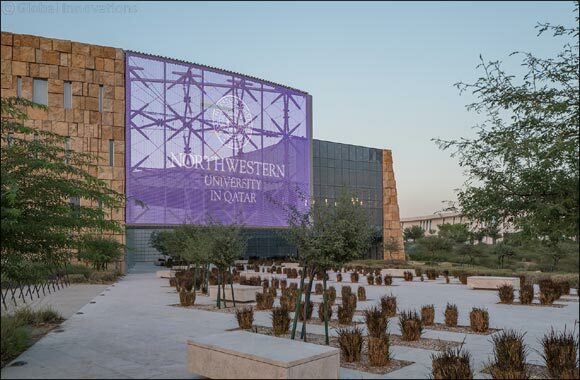 Doha, Qatar, August 28, 2018: Faculty, staff, and students from Northwestern University in Qatar (NU-Q) spanned the globe over the summer presenting original research papers and participating in panels showcasing their work and that of the school’s in far flung places such as Czech Republic, Nigeria, and Washington D.C. and Oregon in the U.S.
With presentations at the International Press Institute World Congress (IPI), the International Communication Association (ICA), the International Association for Mass Communication Research (IAMCR), and the Association for Education in Journalism and Mass Communication (AEJMC), the NU-Q conferees took up topics ranging from Middle East media use, fake news, health communication, and advertising, among others, in sessions where their work was refereed by leading experts. “The acceptance success rate of our faculty, student, and staff research demonstrates the quality and range of their studies on important topics related to communication and journalism at these meetings,” said Everette E. Dennis, dean and CEO. In addition to their participation at conferences, two NU-Q researchers received special recognition at AEJMC. NU-Q Professor George Anghelcev won second place for a paper he co-authored on the psychological effects of information searching and paid advertisements, and NU-Q’s Research Manager Elizabeth Lance received a grant from the Commission on the Status of Women in support of her dissertation on the depiction and representation of women in Qatari media. Also at AEJMC, Dennis led a high-level panel on the rise of fake news on the internet, specifically the role of social media in driving the blockade on Qatar. The panel referenced some key findings from NU-Q’s five-year longitudinal report on media use in the Middle East. The panel also included Dima Khatib, managing director at AJ+; Shibley Telhami, Anwar Sadat professor for peace and development at the University of Maryland; Justin Martin, associate professor of journalism at NU-Q; and Shageaa Naqvi, NU-Q alumna and research associate at NU-Q. Meanwhile, NU-Q’s Mary Dedinsky, director of the Journalism and Strategic Communication Program, led a panel at IPIWC in Nigeria. Dedinsky addressed journalists’ battle against misinformation, as well as the implications of fake news and propaganda on creating a false understanding of the truth and delegitimizing news media. Three faculty members, Professors Andrew Mills, Amy Kristin Sanders, and Joe F. Khalil, presented on media reforms in education and entertainment at the IAMCR conference in Eugene, Oregon. Concurrently, at the annual meeting of the ICA in Prague, Professors Banu Akdenizli and Craig LaMay presented their research on digital diplomacy throughout the GCC crisis and the cultural politics of the Arab female identity in the region, respectively. While NU-Q is best known as a communication, media, and journalism school, its liberal arts facility also demonstrates high achievement in their research presentations each year in topics ranging from anthropology, sociology, and political science, to Middle East studies, philosophy, history and literature, often focusing on regional Arab world topics. They too present at major meetings in their fields during the year. Research is a key learning component that is woven into the academic infrastructure at NU-Q to promote intellectual inquiry, enhance teaching, create new knowledge, and enrich the overall classroom experience.